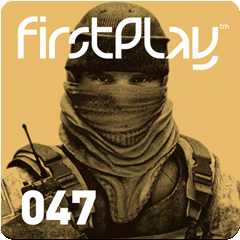 Episode 47 of FirstPlay hits the PlayStation Store this week with a look at new co-op title Operation Flashpoint: Red River, and a review of Warrior: Legends Of Troy. You can also find a review of the movie The Social Network on Blu-ray, a look at user creations in LittleBigPlanet 2, and a pocket guide to the strange world of MMOs now they have arrived on PS3. Episode 47 also includes a round-up of the latest PSP games, a review of Simon Pegg-starring Spare Parts, and regular screenshot galleries, which this week include The Elder Scrolls V: Skyrim and movie karaoke YooStar 2.